Dawn and Mike were recommended to me from the lovely Jen and Chris whose wedding I captured a couple of years ago in Surrey. When the email came through from them asking me to capture their big day in Switzerland I was so excited! I’d always wanted to travel there but to capture a wedding too was such a huge privilege. I arrived the day before the wedding at Basil airport and headed straight to my hotel in Meggen before conducting a site visit at St Charles Hall before the sun went down. 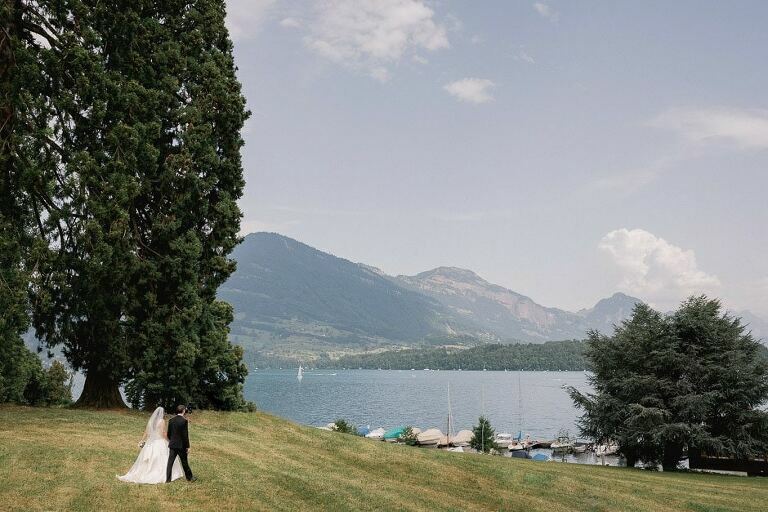 The venue is located in an absolutely beautiful setting with Lake Lucerne and the mountains creating an epic backdrop so I knew the photo opportunities would be endless! The next day I arrived early to take some shots of the house and the surrounding grounds before heading inside to meet Dawn and her bridesmaids for their preparations. Mike was also getting ready at St Charles so I was able to capture both parties. It was also really great to see Chris again who had been chosen as best man. The ceremony was held in the small and intimate chapel and the vicar had plenty of funny stories to help set the tone of the day! The reception took place on the South Patio with it’s incredible panoramic views and once the newlyweds had had plenty of champagne with their guests I took them for a relaxed couple shoot around the gardens. 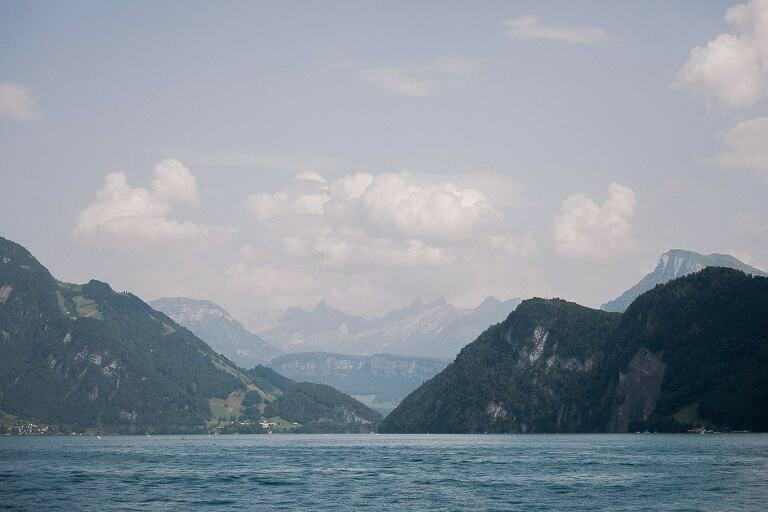 The couple had booked a surprise boat trip to Lucerne for all their guests and this made for a really fun reception with breathtaking views and lots of alcohol. As the night drew closer it was time to head back to St Charles for the wedding breakfast and speeches in the Hall of Knights. There were some really funny speeches and Chris the best man delivered a blinder which had the whole room in roars of laughter! Once the cake had been cut it was time for the dancing to begin and Dawn and Mike’s great first dance routine quickly got the party started. I was having such a great time that I didn’t want to leave but after an incredible 14 hours it was time for me to retire. I thoroughly enjoyed working with such a fantastic couple and I’m so grateful to them for having me along. Their wedding was a real joy to capture and I was delighted with their kind review…..